Robots could well become a huge part of the solution to Korea’s current export woes? And, it seems that Korea’s government agrees. If you are an export-oriented economy like Korea where exports account for about 50 percent of the country’s GDP, what happens when exports take a big hit, as in 2015 when exports tumbled to a six-year low? With a situation reminiscent of the financial crisis of 1997, as some fear, seemingly revving up again for a return visit, Korea is moving fast to change direction. Korea’s President Moon Jae-in, has vowed to embark on structural reforms to head off any risk of crisis as economic pressures mount on Seoul. Colin Angle, CEO and co-founder of Bedford (Mass. )-based iRobot, agrees with Lee’s assessment of Korea’s robotics expertise. Angle believes “Korea ranks just behind the U.S. in robotic innovation.” Yet he adds that will mean little if companies can’t make commercially viable robots that global consumers want to buy. “Robots take huge amounts of capital,” he says. 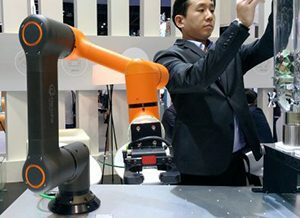 Intensive capital investment will be necessary from the government to reach Korea’s 2018 goals of 600 domestic robot companies employing 34,000 workers. The capital is there. The competition is formidable from Japan and Germany as well as a burgeoning robot industry in China. 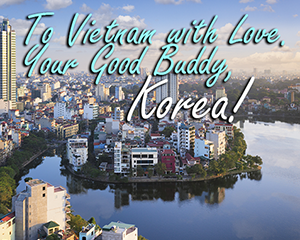 Korea has faced such challenges before and succeeded grandly. As Wolfgang Heller, robotics and market analyst, pointed out: “In 1960, South Korea was poorer than two-thirds of the nations in sub-Saharan Africa. Today it’s the world’s most digital nation, with a per capita income of nearly $29,000, higher than New Zealand ($27K) or Portugal ($22K). 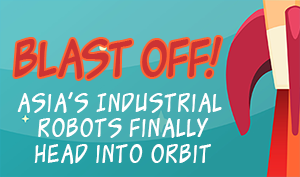 Korea’s fascination with all things robotic is nothing new. 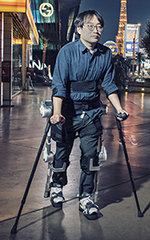 “Korea has a 35-year history of designing and building robots,” says Yoo Tae Jun, vice chairman of the Korea Association of Robot Industry (KAR). However, it wasn’t until C7 2003, some three decades into that robot-building history, that “the government selected the robotics industry as a new growth engine… and put in place diverse policy support,” Jun says. Five years later in 2008, a series of government actions and initiatives, such as the Intelligent Robot Development and Promotion Act raised the visibility of the country’s pursuit of building a robotics industry by enshrining it in the law of the land. 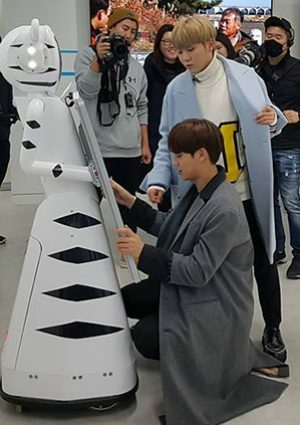 Then in 2010, the government’s Ministry of Trade, Industry, and Energy established the Korea Institute for Robot Industry Advancement (KIRIA)to oversee industry development. 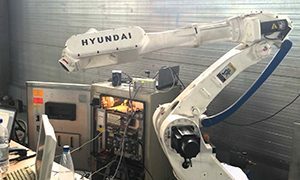 “KIRIA has so far promoted the Korean robot industry by numerous measures, such as robot policy formulation, robot information dissemination, standardization activities, and infrastructures, such as robot test facilities,” says Yoo Tae Jun. 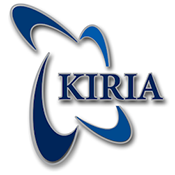 “Especially [promoted] are robot pilot projects, with annual budget of about $20 million since 2011.” KIRIA is also responsible for constructing a national robot research and development center. Through 2014, things seemed to be working: from 2009 to 2012, robot sales increased from $940 million to $2 billion; robot exports grew from $96 million to $590 million, and with all that robot building employment climbed from 5,068 to 10,515 workers. As a consequence of Korea’s attention to robotics it has realized itself as a world leader in the density of robots in its domestic manufacturing and general industrial operations, even though it narrowly lags Japan, Germany and the U.S. in robots for the automotive industry.